The aftermarket specialist from the famous TechArt tuning company have recently upgraded the high-end 2014 Porsche 911 Turbo and 911 Turbo S.
We are talking about upgrades mainly carried out under the hood, meaning a boost in power for the Porsche 911 Turbo, which now stands at 580 horsepower and huge 840 Nm of torque. The 091/T1 power kit makes the powerful Porsche 911 Turbo sprint from 0 to 100 km/h in just 2.9 seconds, at a top speed of impressive 325 km/h. On the other hand, the more powerful Porsche 911 Turbo S has also received upgrades to its 3.8-liter six-cylinder engine, which now outputs a total of 620 horsepower and the same 880 Nm of torque. The Porsche 911 Turbo S can now reach the 0 to 100 km//h mileage in only 2.8 seconds, the sports car standing at an impressive top speed of 328 km/h. 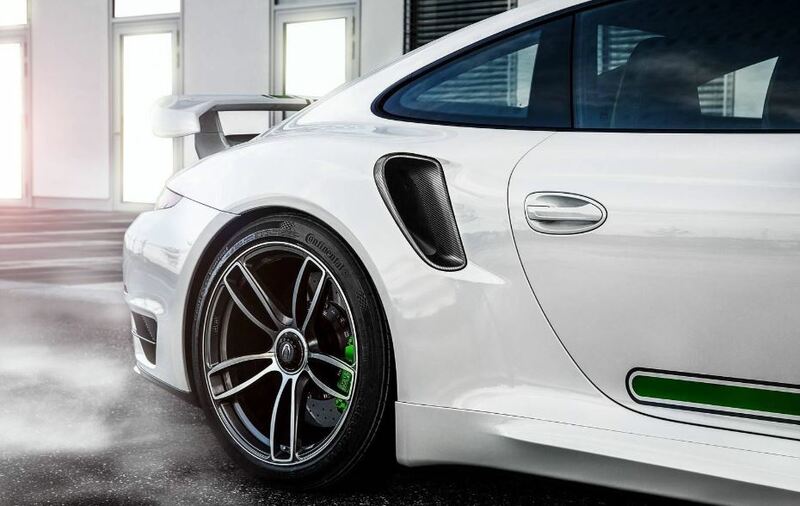 The TechArt tuning company has not announced any details concerning the prices for the two supercars so far, but we should expect fresh news in the upcoming weeks.